To Achieve the goal of "Health For All" by 2010 launched by the Government of India, the health department of Meghalaya started rapid expansion and extension of Health Services Network during the last 3 decades. Significant change and development has taken place in all the disciplines both in Rural and urban Sector. An attempt is being made to modernise the District head quarter hospitals both in terms of human resources as well as advanced technologies. Beside this, facilities like telemedicine and citizen centric services under Information Technology also will be made available in the larger interest of the people of Meghalaya. 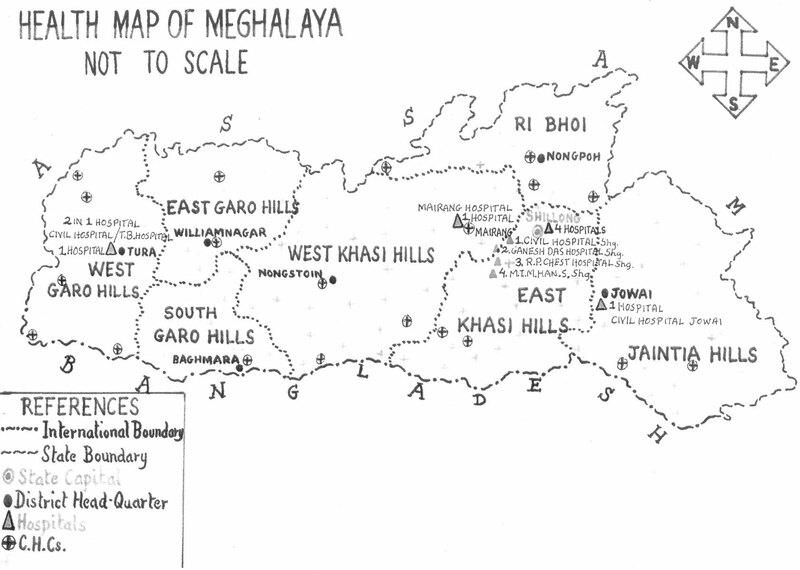 The object of modernizing the health institutions and to develop capability of human resources under Meghalaya Health Care Services is to enable the people to get better treatment and care so that people of Meghalaya do not require to go to other States seeking Medical help for petty matter.